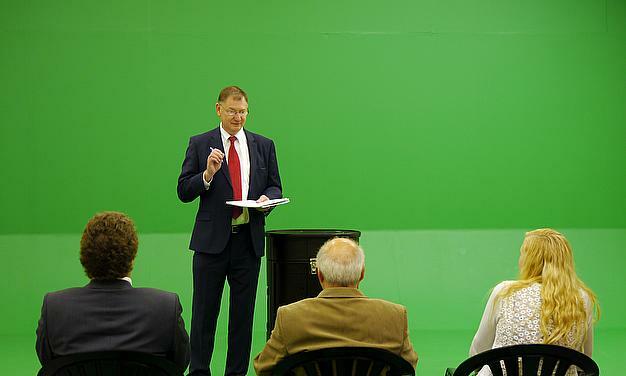 CWM Studios deliver top quality Media Training days that can be used for internal individual confidence and team building or the specific external handling of the professional media journalists and broadcasters. We also offer 1-2-1 training if you need a more bespoke training programme. CWM Studios have their own video and audio facilities which can be used during these training days. Below are some of the techniques and experiences covered on the media training days. Dealing with ‘tricky’ situations and how to think on your feet, stay calm and avoid any problems. Techniques to help you cope in pressurised situations such as a live Q & A.
in a way that enables you to move on to the points you want to make. 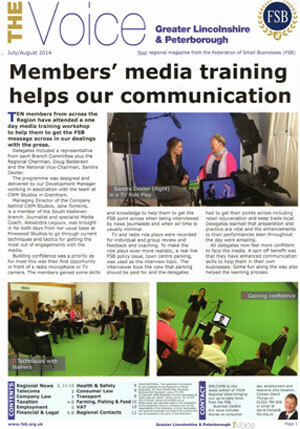 We recently completed two one-day media training days for Federation of Small Businesses delegates - read more here.